Part diary, part beauty manual, Love, Tanya is brimming with ideas and advice about life, love, fashion and friendship. Hi everyone and welcome to Love, Tanya! this book is really close to my heart, because it is inspired by my journey to becoming confident and feeling happy about who I am. I wanted to write a book to share the things I've learnt with you - to reveal my top tips on fashion, beauty, love, friendship, YouTube... and loads more! Plus, there is room for you to list your own hopes and dreams alongside mine - so get creative and get involved! I'd love it if this book became a keepsake you can turn to whenever you need some guidance or even a little pick me up. I hope you enjoy it! 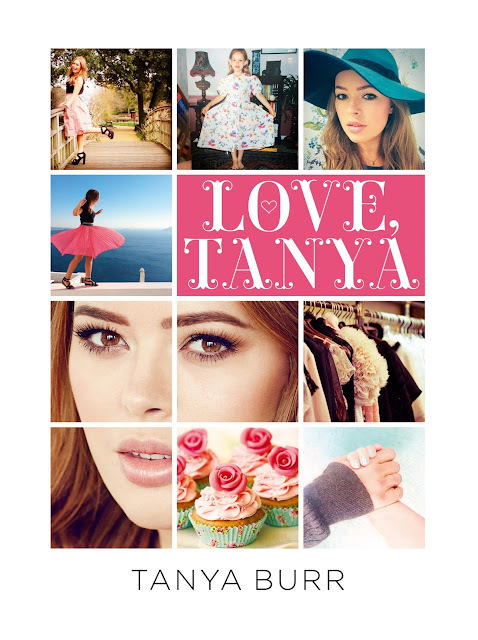 This book not only tells you about Tanya's life growing up and how she got into doing her YouTube videos, but it also gives tips and tricks on doing makeup, dressing well and other things - I am impressed! After the last YouTuber memoir I read I had very low expectations of this book, but am happy to say that I actually enjoyed reading it - even as an adult (it is marketed to teens). The thing I dislike about this book is that the author recommends designer items and products that are way out of the budget of the regular Jane, let alone a teenage girl. Other than that, it contains some good advice about friendship, de-stressing, cooking and more! I like it so much that I am considering buying a hard copy for my cousin's 13 year old daughter - she's so much into makeup and fashion! She's always loved clothes, ever since she was a wee thing, and I think this book would be perfect for her as she grows into a young woman.